The Hawa Pani takes the simple path by having a regular fit. I’m a guy who usually wears a large but for personal preferences I took a size larger so I can accommodate additional layers for the colder seasons and I found that the Hawa Pani manages to cover both aspects pretty well. Around the upper body, it’s pretty snug and doesn’t feel restrictive in any way at all. Despite the slight presence of an empty space around the stomach area, I sense a decent fit from the jacket after putting on a sweating with post-Dashain belly. I would suggest you try both your actual size and a size up to see which of the two suits your preference. In terms of adjustability, the Hawa Pani has adjustment straps at the hips that have been neatly tucked away on the inside of the jacket. There’s adjustment Velcro straps around the cuffs as well. These cuffs already have an elastic material which helps your arms from having excess air flow and water from entering and with the addition of the Velcro, and I think this is an excellent way to tackle the elements on your two wheeler commute. I do, however, have a gripe with the Velcro straps since I feel that they could have been a little smaller in order to be proportional to the elastic portion of the cuff, but I’m guessing it’s probably that way for them to stay firmly gripped around the wrist when you need it. things around a lot, then you can forget your backpack and just stuff it inside the Hawa Pani instead. The jacket overall isn’t flashy given its two color option of navy blue and light grey. Simple embroidered logos of Custom Are Us itself and that of the Hawa Pani (in cool calligraphy) on both sides. Custom Are Us have designed the Hawa Pani’s style to be on the functional end and it gets that impression from the noticeably large two pockets on the chest. Custom Are Us has taken every feature possible and has been able to package it into a functional yet affordable piece of clothing, and has pulled it off. The Hawa Pani stays true to its name and comes with all the right things to keep you feeling the full force of the wind and rain. In terms of wind breaking performance, the Hawa Pani holds up well against the air that’s coming at you. 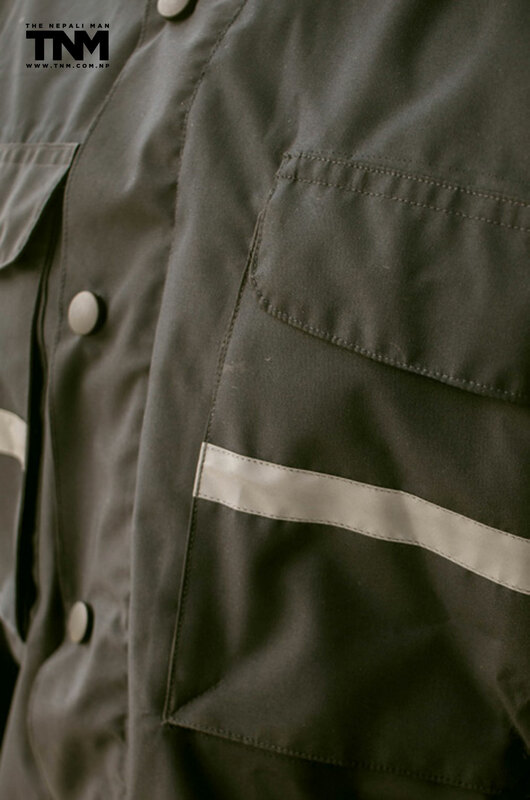 While commuting on a two wheeler, you won’t find any wind getting through this jacket. 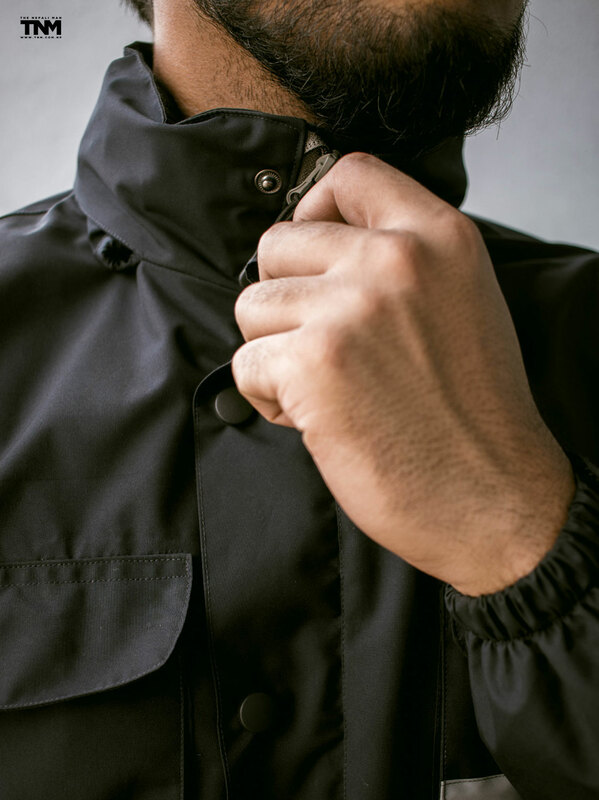 But what sets it apart from the crowd is that it comes with a hood which too has a waterproof layer, and can be easily tucked away into the collar. 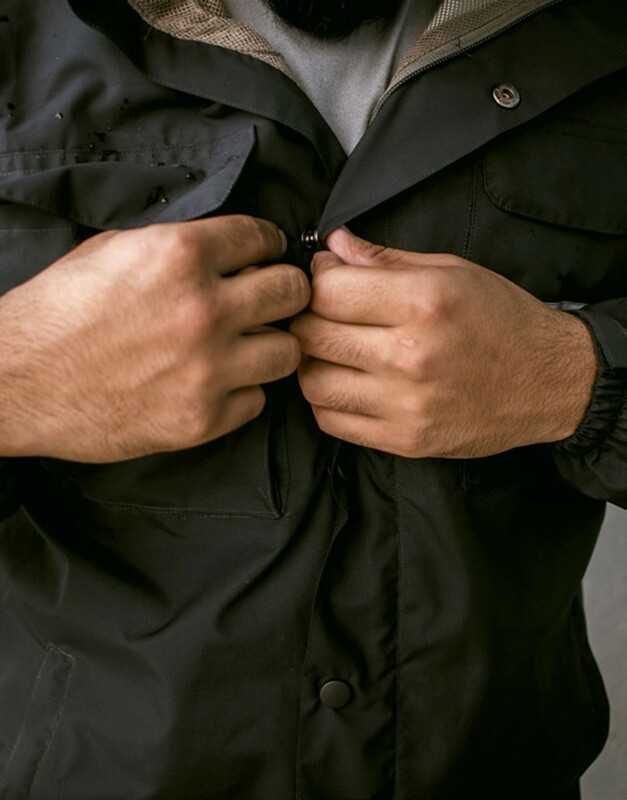 The main zippers are covered by an outer flap which can be buttoned and an inner one to serve as the last line of defense in case any water does get through the outer flaps cover. Riding with it though the rain, I was as dry as the Sahara. What I like about the Hawa Pani was that the attention to detail that Custom Are Us put into its design like foldable hood when tucked doesn’t feel intrusive at all, the waterproof membrane is sandwiched between the outer layer and a mesh inner layer around the torso and hood. I don’t know if you’ve ever worn a jacket without an additional layer between you and the waterproof membrane but it feels awfully uncomfortable so mesh layers are definitely unsung heroes here. The Hawai Pani also does a decent job of not getting too hot while you’re under the sun but of course because of the waterproof membrane’s nature, you do feel the need to take it off eventually. 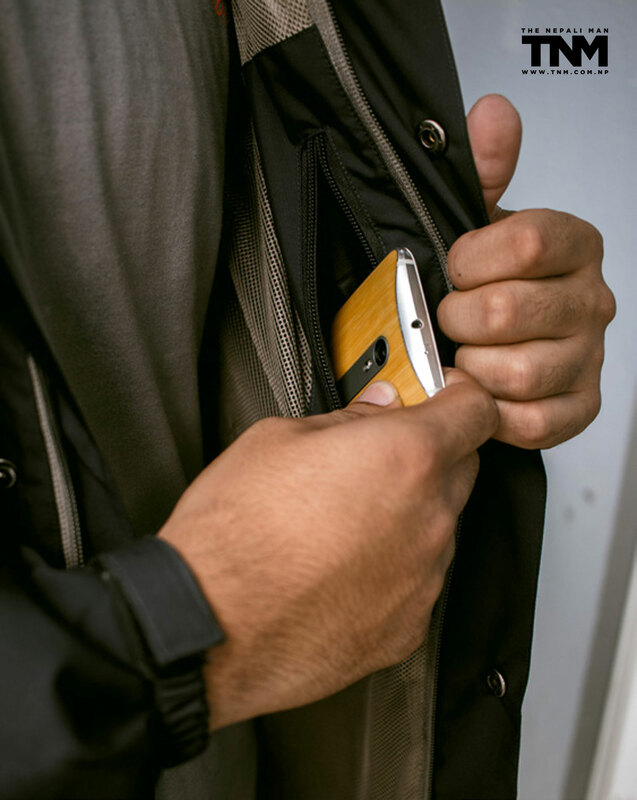 Since it’s the middle of summer as I’m writing this, I haven’t been able to test its capability against the cold but I’m sure if you wear an extra layer or two inside, you’ll be good. Custom Are Us definitely did a good job in making the Hawa Pani. There aren’t too many options apart from the all too common imported jackets and Custom Are Us definitely gives us something that stands out from the crowd. Perhaps, it won’t withstand extreme conditions (think tornadoes and hurricanes) dependably, but it’s lightweight and serves as a solid shield against moderate winds and rainfall which is exactly what we need with the general conditions we go through. The Hawa Pani is surely a bang for buck rain jacket for the commuters. For just Rs. 2400, it’s a heist.